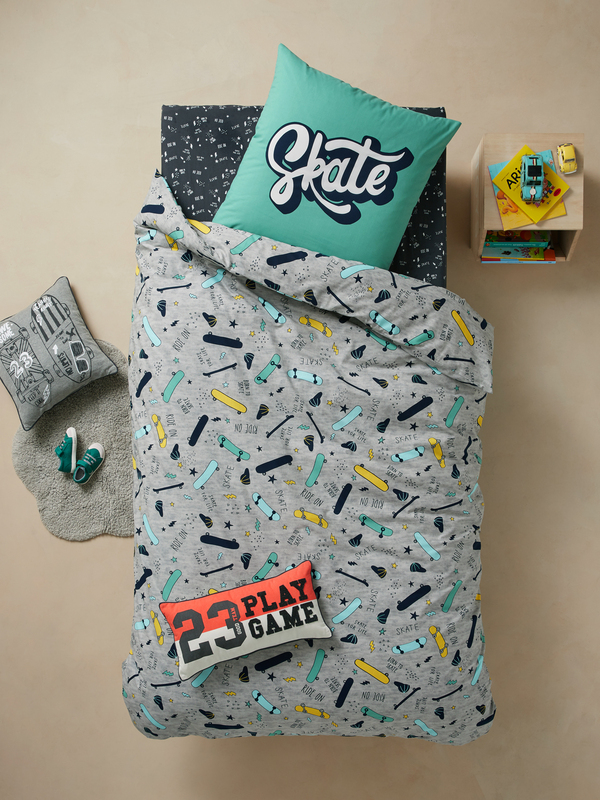 A wacky print, cartoon style, where skateboards mingle with inscriptions for a spectacular rendition! The marl grey background gives the material a fleece-like look. With this kind of bedlinen set, children will no longer be making a fuss when it's time for bed!